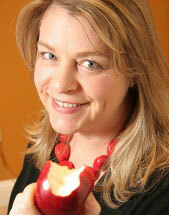 Annie B. Copps is senior editor, food, of Yankee Magazine. Annie oversees the magazine's food coverage, both as an editor and as a contributor of feature stories and columns. Prior to joining Yankee, she served as food editor of Boston Magazine and features editor of Concierge, and was also widely known for her work as the host of WBZ radio's Connoisseurs' Corner and WTKK's Table Talk with Annie Copps. Annie also contributes to WGBH's food blog, The Daily Dish. As a television producer, she made her mark with two popular public broadcasting series, Cooking with Todd English and Julia Child's Kitchen -- where she was an assistant to the legendary grande dame of French cuisine. She appears frequently as a guest on NBC's Today show and other TV and radio shows. Before beginning her media career, Annie honed her skills as a cook at several notable Boston-area restaurants, including Olives, Jasper's, The Harvest, and Michela's.